To promote the science practice among the school students bKash, the largest mobile financial service provider in the country and Biggan Chinta, a leading science related monthly publication will jointly organize `Biggan Utshob- Science Festival’ across the country. Major General (Retd) Sheikh Md. 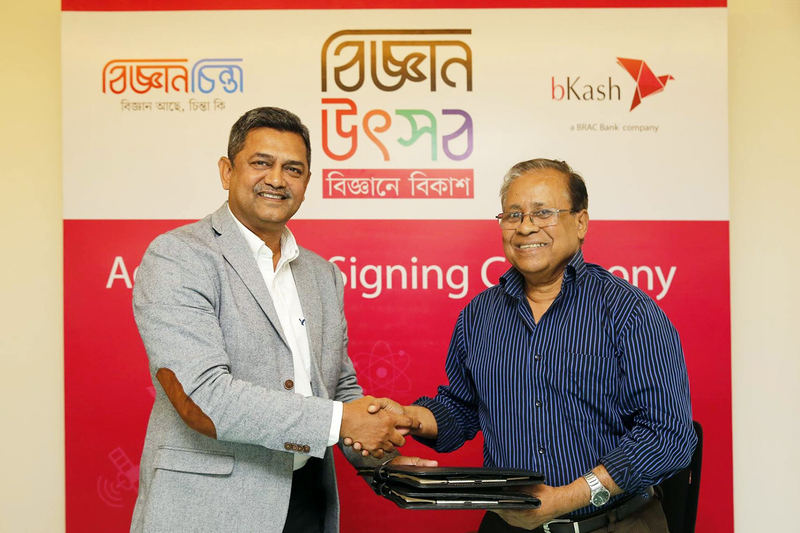 Monirul Islam, Chief External and Corporate Affairs Officer of bKash and Abdul Kayum, Editor, Biggan Chinta exchanged an agreement after signing at bKash head office recently.